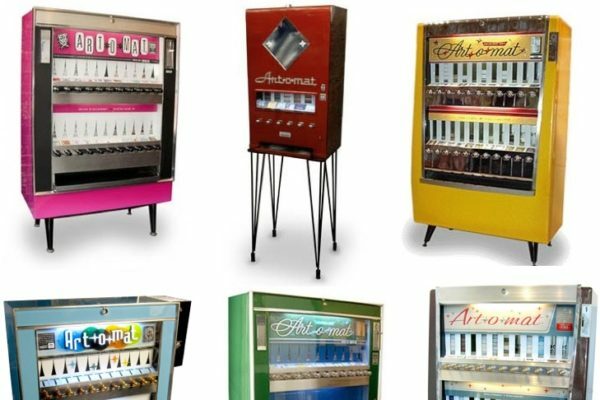 The first automats were fast food restaurants where simple food and drinks were served by coin-operated vending machines. 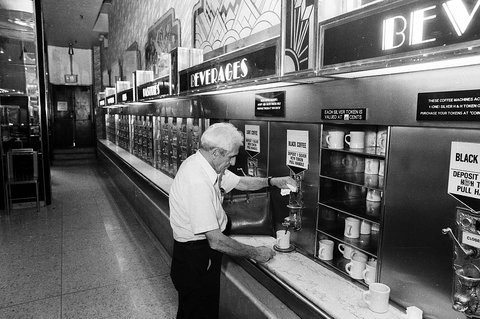 The first automat diner in America opened in Philedelphia in 1912 and the trend was quickly brought to New York City where it became a part of popular culture. A hit with everyone one from industrial workers to celebrities to out-of–work musicians, New York alone had 40 automats and accommodated customers from every class. 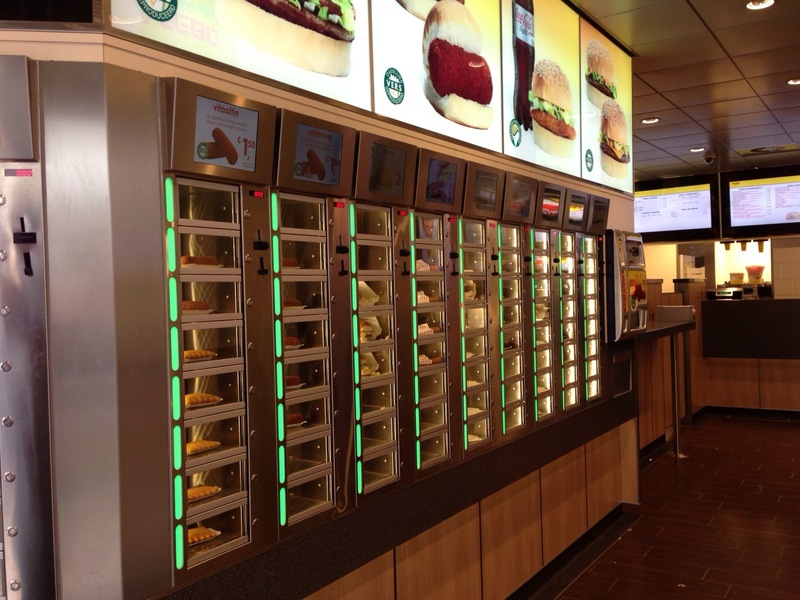 The gleaming machines were successfully marketed gadgets that dispensed food, filled from the hidden kitchen behind. 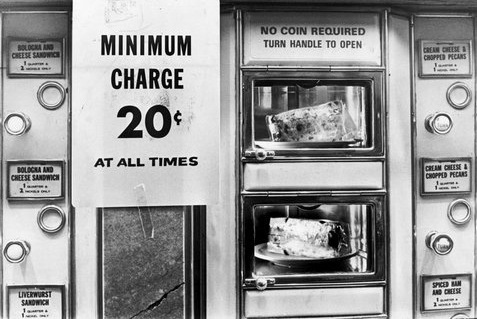 The diner would insert the required coins, lift the window and take their meal. 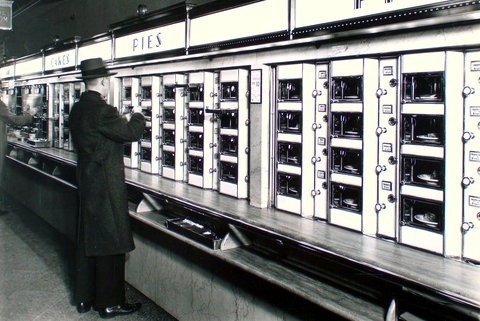 However, the rise of even faster food restaurants in the 1950s catering to motorists with drive-thru windows saw Automats eventually fall victim to a changing culture. By the 1970s, their remaining appeal was strictly nostalgic and the diners soon vanished completely. Except for one place. 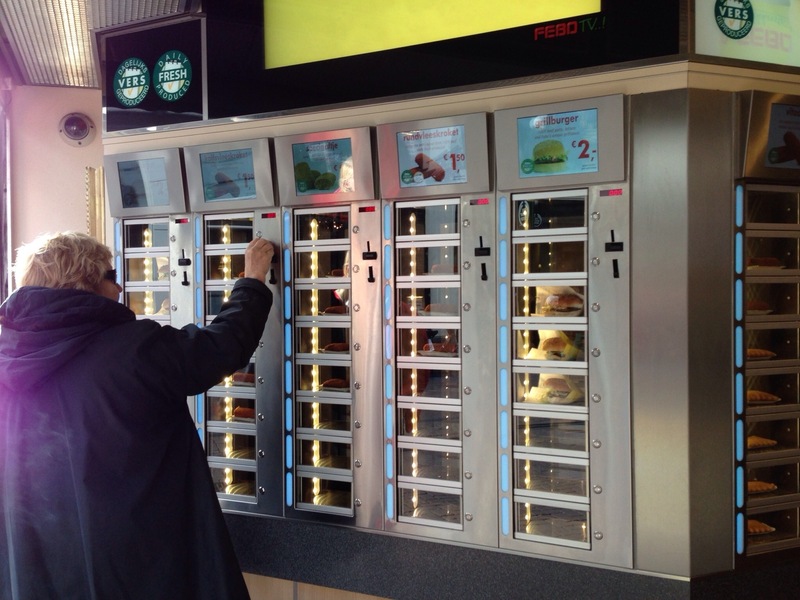 An automat or automatiek chain called FEBO has 22 shops in Amsterdam alone and 60 in the Netherlands. 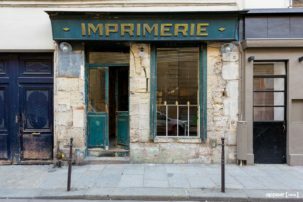 Founded in 1941 and still going strong, the snack bars sell various burgers, sandwiches and hot snacks. 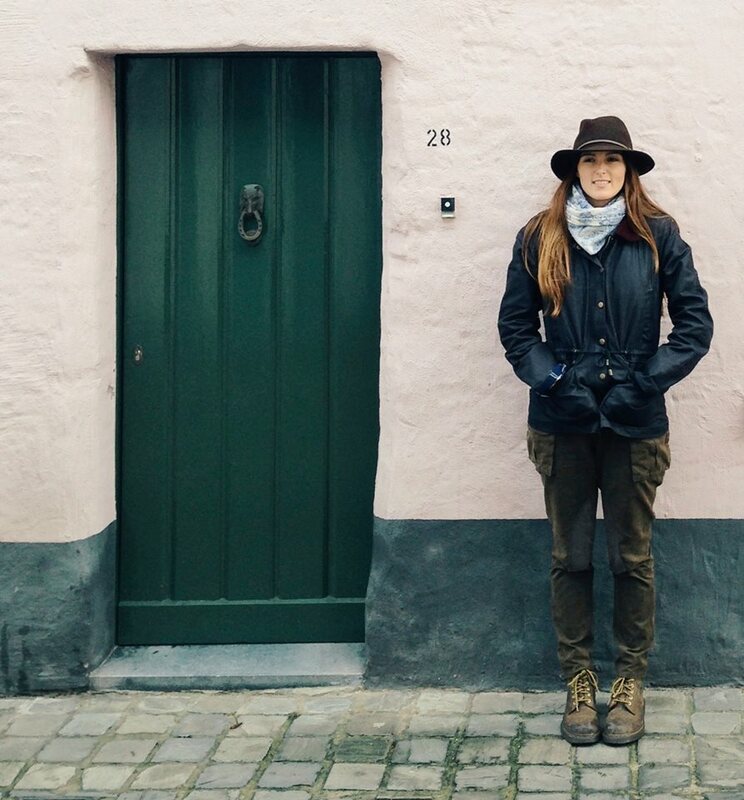 They are open 24 hours and popular with tourists and locals alike. If such a thing still exists anywhere in the world, I’m not entirely surprised it’s in Holland. Although I had one of the best weekends I’ve had in a while in Amsterdam, I must admit, (and even a Dutchman said this to me) the Dutch need to learn how to eat. 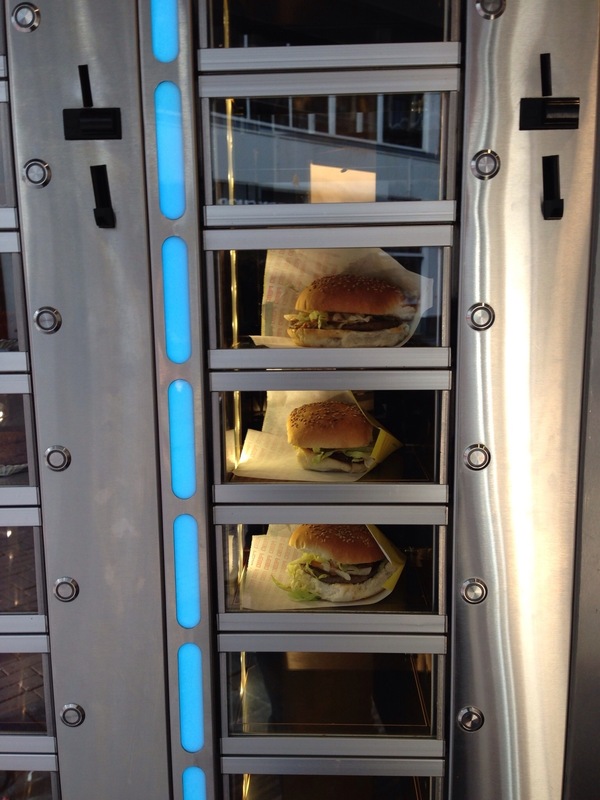 Having said that, these Automat diners are still full of nostalgia, even with their fluorescent lights and modern machines. I wasn’t brave enough to sample the delights of their cuisine, but pleased I got a glimpse into this fascinating dining culture.